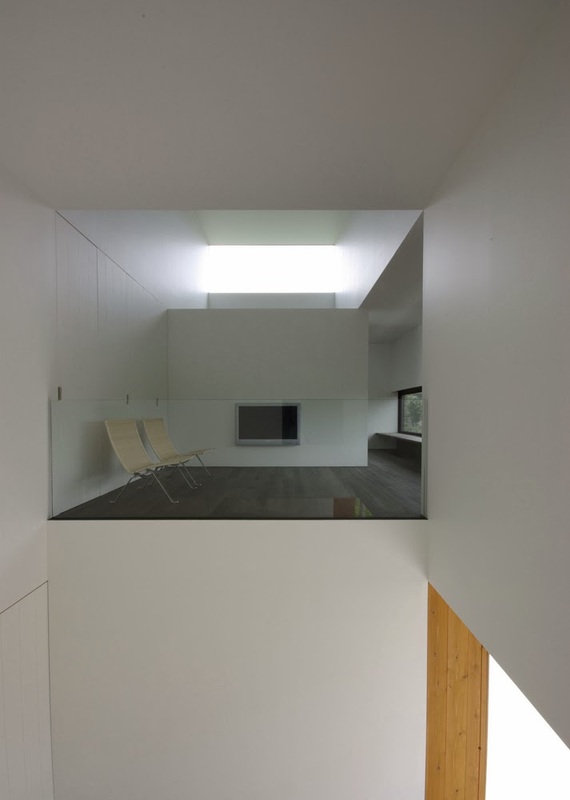 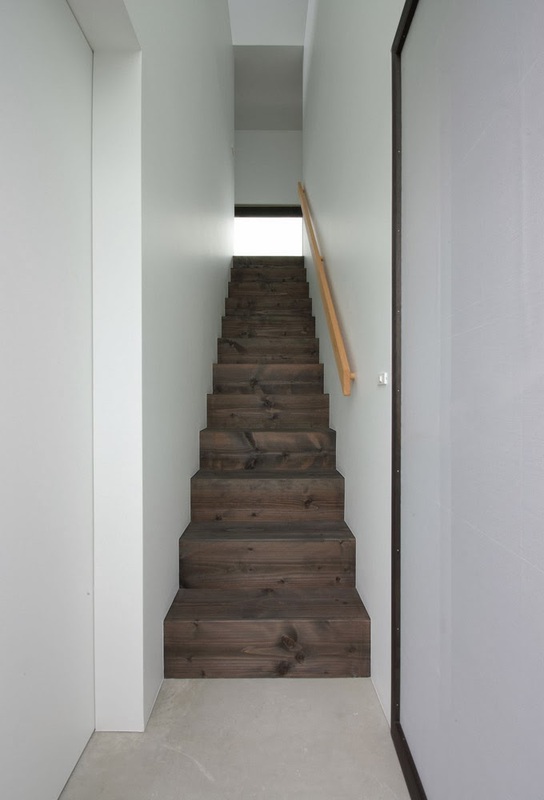 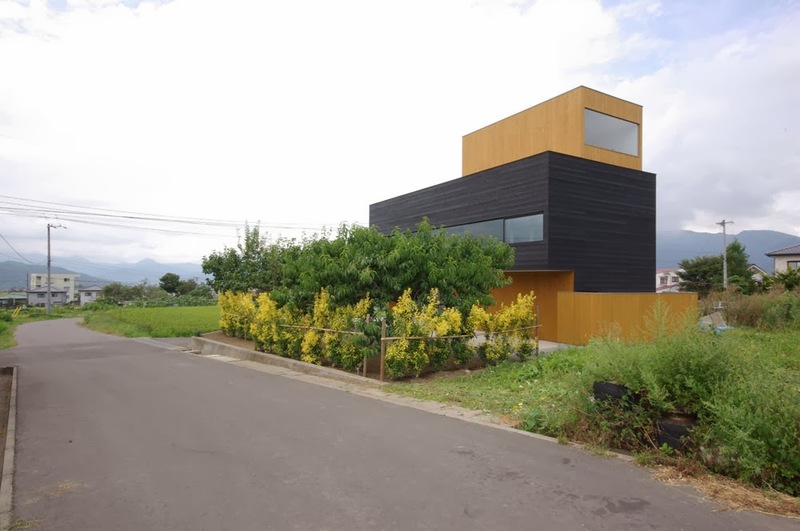 This two-story house in Ueda Nagano, Japan, designed by Case Design Studio, stands as a unique minimalist piece of architecture in its rural setting. 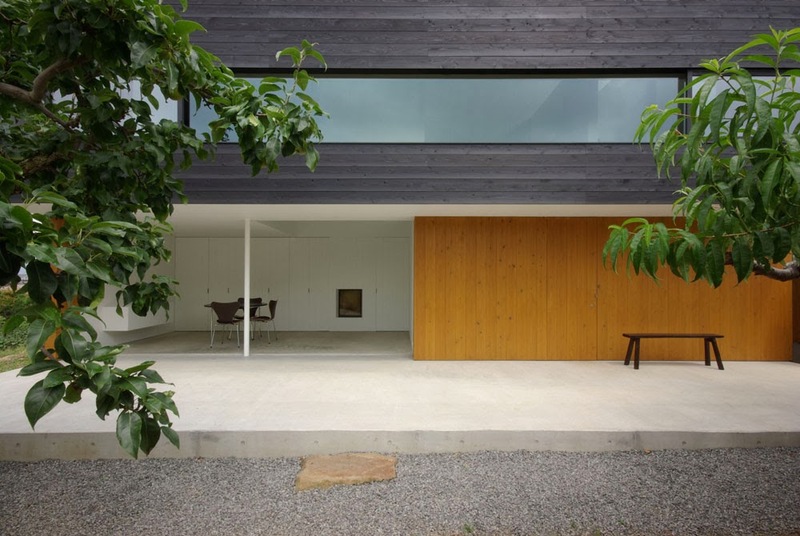 The geometrical wooden structure has a ground floor that opens with large sliding doors to the side orchard of pear and peach trees, while the second, projecting volume remains more private, with a narrow horizontal strip window running the entire length of its facade. 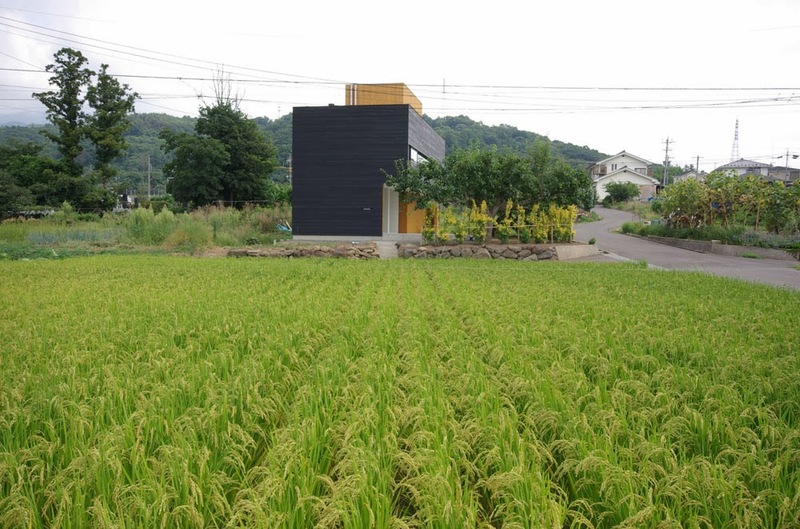 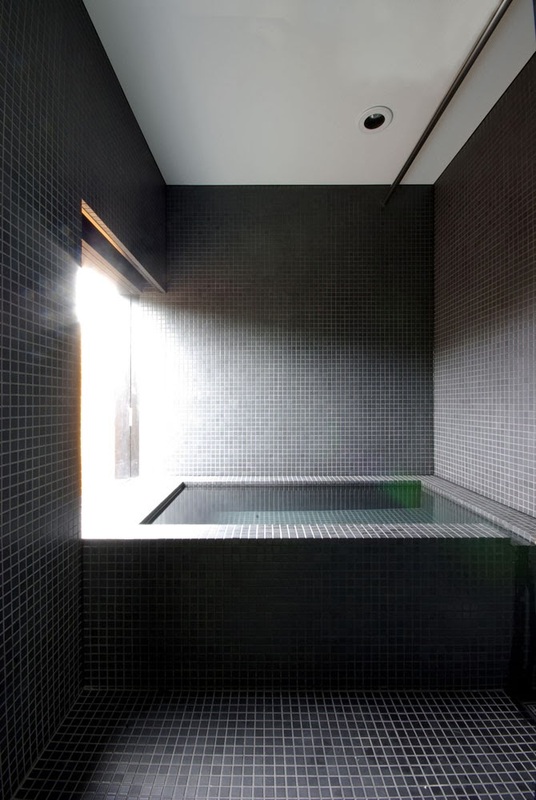 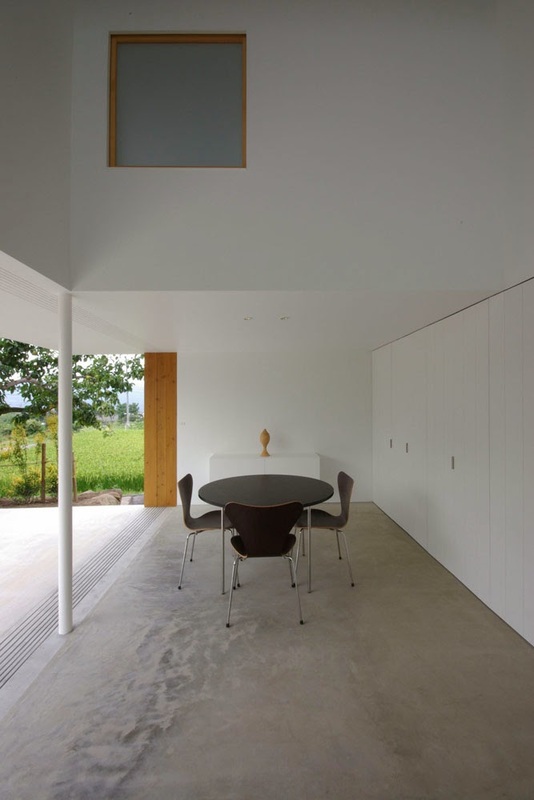 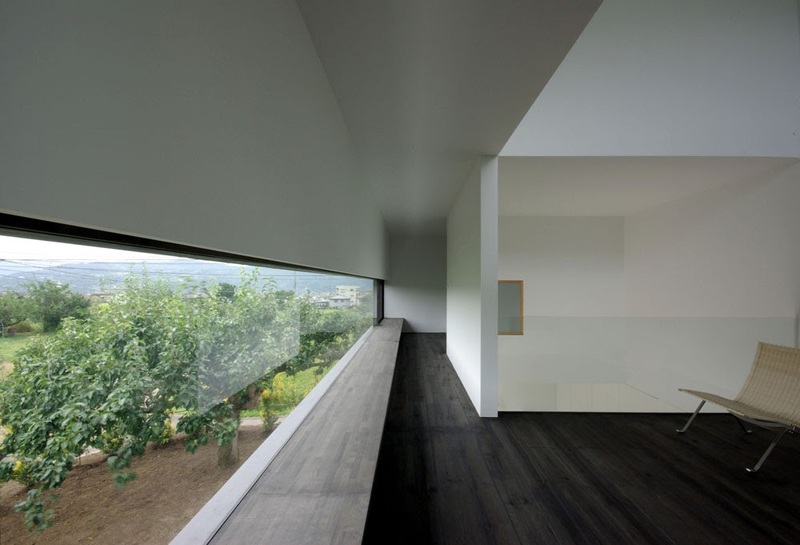 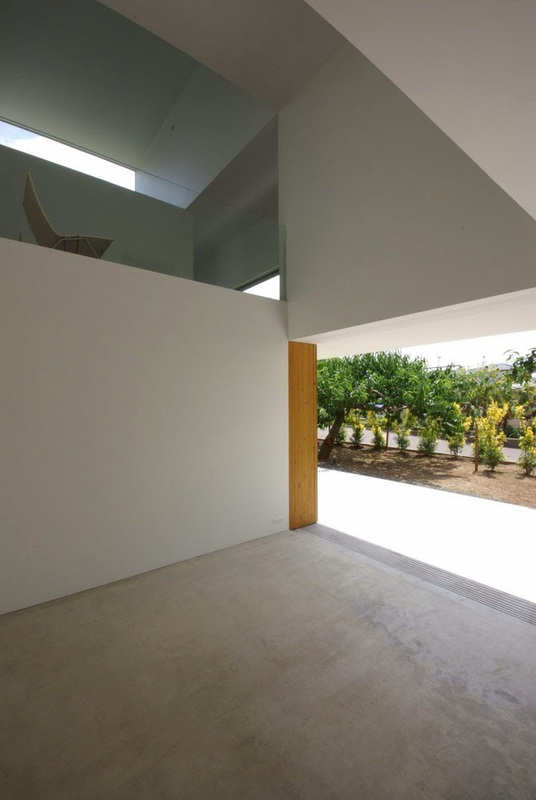 House in Ueda is located in the countryside on a site that was a part of a peach and pear orchard. 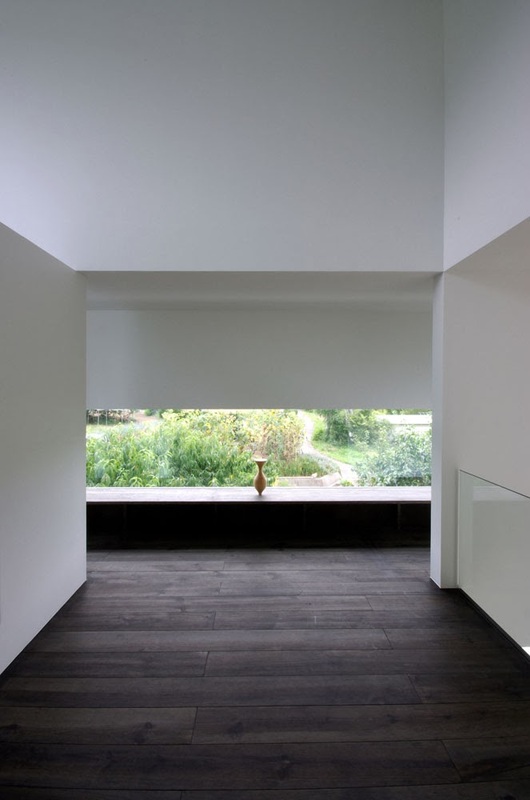 A southern garden provides a large sunken terrace. 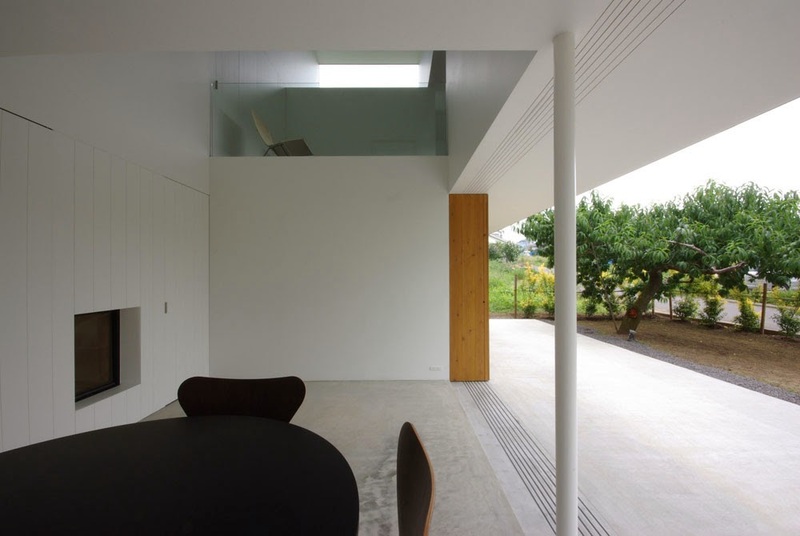 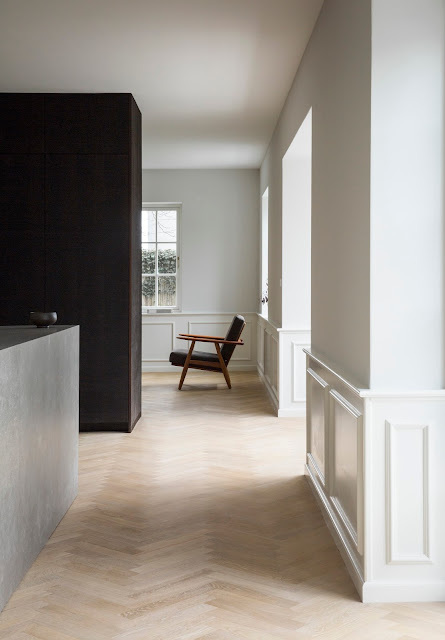 On top of the terrace, a second floor eaves lead to the dining room. 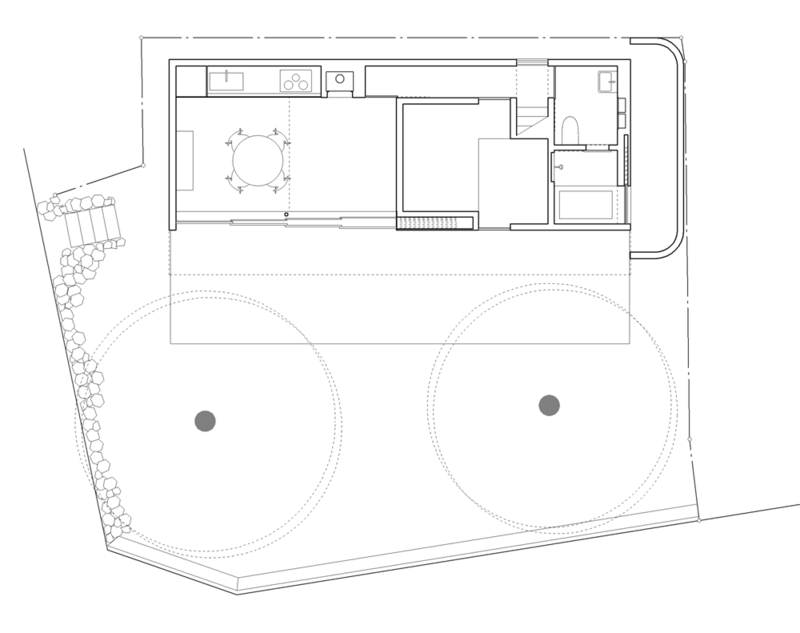 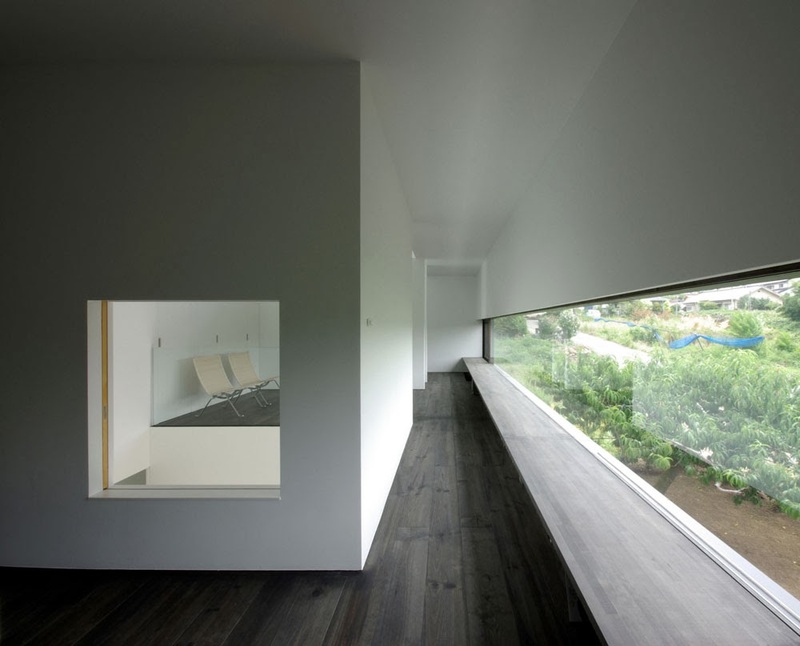 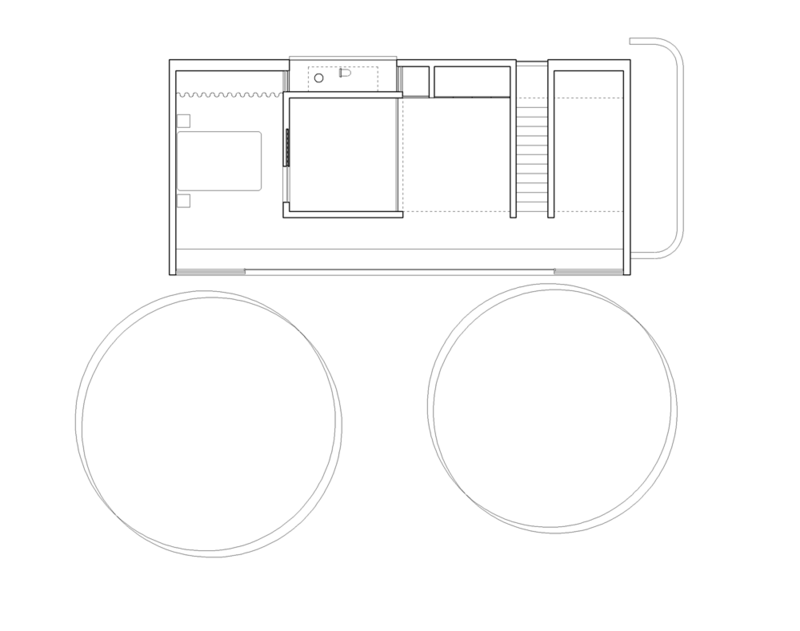 There is a study room, which is also a passage, connecting each room on the garden side of the living room on the second floor. 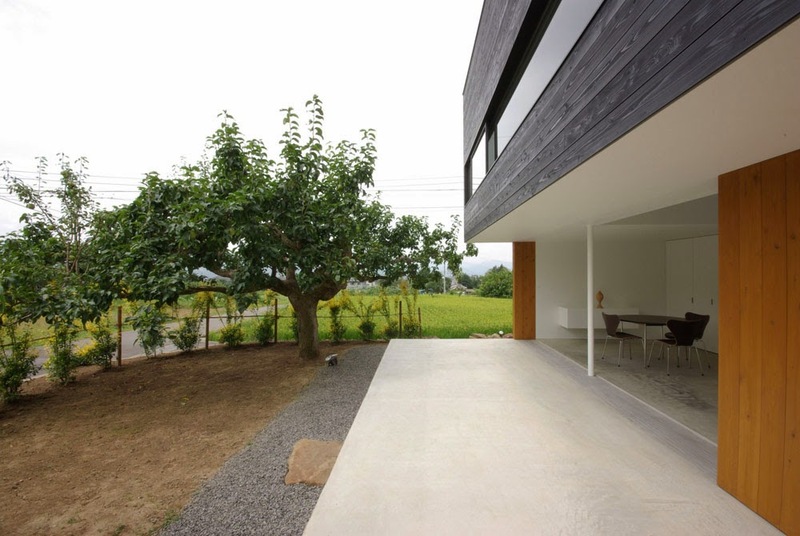 A window frontage of 10m overlooks the tops of the fruit trees.